Here’s a recipe I wanted to test out that puts to use the buckets of powdered milk I have stored. Remember, if you are constantly rotating your stored food (especially the 3-month food supply) not only will you greatly reduce the chance of anything going bad, but you’ll actually be learning to use your bulk-stored food and eating what you store — some of the most important rules in food storage. To make cheese from powdered milk is an easy process (unexpectedly, since I never had any experience making cheese before this). 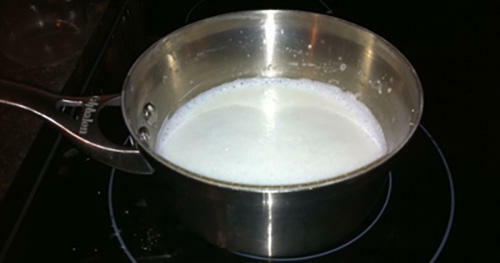 Step 1: Mix together 3/4 cups of powdered milk with 1 1/2 cups of cold water in a cooking pot. Stir until dissolved. Step 2: Stir milk over a medium-low to medium temperature until it becomes hot to the touch but not scalding (this should be around 140º if you’ve got a cooking thermometer) Step 3: Maintaining the same temperature, stir in 1 tablespoon of white vinegar or lemon juice. 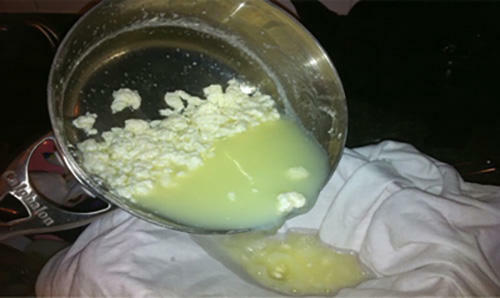 You should immediately begin to see the curds separating from the whey. 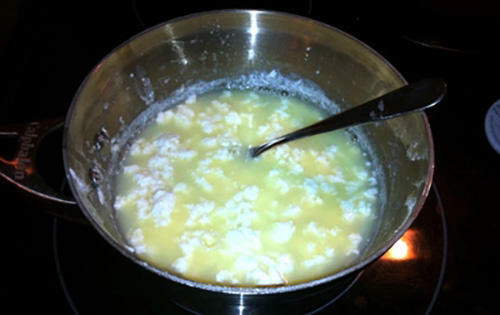 Step 4: Continue cooking to allow the curds to separate from the whey. After a few minutes there should be large globs (if that’s a real word :)) of curds in an amber pool of whey. 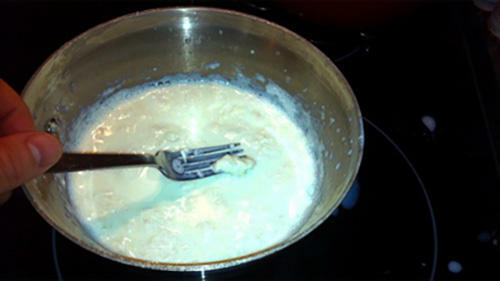 If it’s still too milky add another tablespoon of vinegar, stir and cook it on medium to medium-low heat until the curds completely separate from the whey. Step 5: Pour the curds and whey into a colander lined with a clean cloth, cotton t-shirt or cheesecloth to drain off the whey (this sweet liquid can be used in the place of water in other baking recipes so drain it into a bowl if desired). 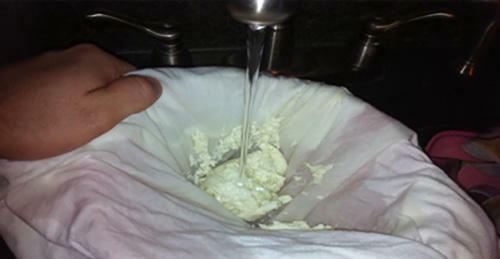 Step 6: Taking the cloth or cheesecloth (a t-shirt in my example) squeeze the curds to press out any remaining whey. Step 7: Rinse the curds — which is essentially a paneer style cheese — under cool water, and eat fresh or store in the fridge. What you should be left with is about the same amount of curds as you measured out in powdered milk. Since I used 3/4 cup of powdered milk in the above recipe, it resulted in about 3/4 cup of curds — so plan your recipes accordingly. I was really excited when learning this, since I love lasagna. Pasta as well as tomato sauce — in the form of canned or powdered tomatoes — stores very well, but fresh cheese doesn’t. Now that I know how to make fresh cheese easily from my stored powdered milk, even lasagna can be enjoyed during the end of the world. 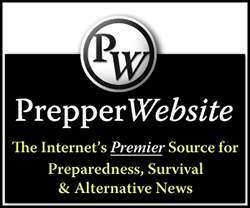 This article first appeared on Tacticalintelligence. This is co cool! I did the smaller recipe and it worked for me. Thanks for sharing! 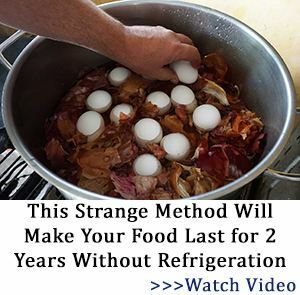 Mine was grainy and kind of dry, which in case of SHTF would not matter in the least, but for now I wonder if you have tried flavoring it or tried to make it smoother? Can I add black pepper corn or, salt to the milk? Do I have to wait at the end to add either salt and, or pepper corn? There is a sure way to find out: Make up a small batch and add the amount you think is appropriate. If it turns out fine, it works. If it turns out not so fine, it doesn’t work. It is called empirical testing and there is nothing better. If you want to know if an ingredient will work, try it. Worst case you use up some time and a small amount of material. Best case, maybe you have invented a new kind of cheese. 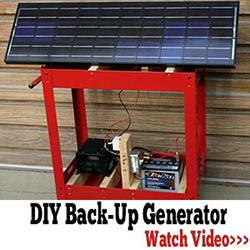 It is not exactly like you are going to spend weeks making the product and invest thousands of dollars. 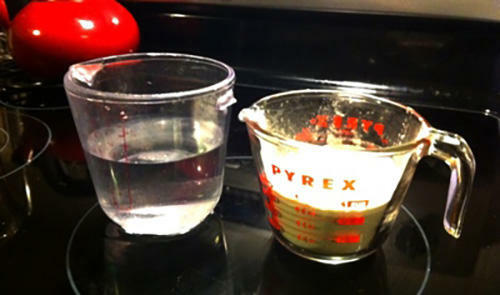 A couple of hours, tops, 3/4 cup of powdered milk and some vinegar, less than a dollars’s worth of supplies. You over cooked your cheese or cooked too long. There are recipes (I’ ve made cheese from raw milk). A one cm square of what? 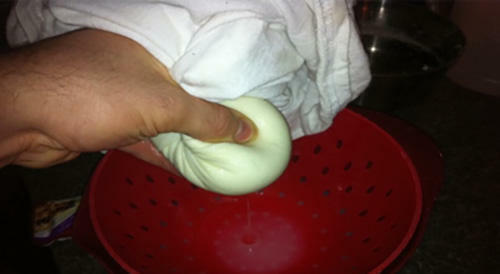 Once the cheese is squeezed the texture and appearance is improved by soaking it in cold water for two or three hours. Hi, Good article! What type of powdered milk were you using? Whole or non-fat powdered milk? Also, was it instant or non-instant powdered milk? Thanks! Can you include a button that says “print friendly’ so I can pdf articles to my phone? Hi ! You can highlight the area/recipe you want to print, then right click on the highlighted area and click on Print. When the print box comes up, click on SELECTION and then click on Print ! Just the Highlighted areas will print ! Hope this helps…. 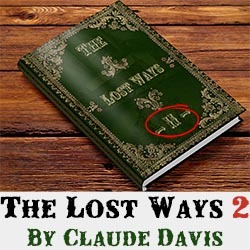 You can, also, go to the Printer Friendly page… https://www.printfriendly.com/ copy the link from the page you want to print and paste it on the Printer Friendly Page. It keeps the pertinent info and you can delete more if you would like ! Does anyone know if using whole milk in this recipe would produce the same results? Really cool idea, though. There is a green box at the top of the page that says,”Print this page”. 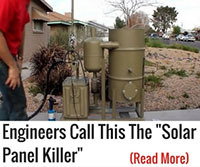 Unfortunately, it won’t allow you to delete the extraneous material that appears with the article. I use the MAC system and copy and paste in Text Edit which does allow me to delete superfluous text etc. I had a good system when I was using DOS, but it has been so many years ago since I switched to MAC that I don’t remember how to copy and print in DOS. Sorry about that. If I need to do extensive editing, I copy and past in Libre Office which has more flexibility than Text Edit. Salt at the beginning and pepper before the curds are formed if you want the cheese infused with pepper. I’ve made cheese for a number of years, and this recipe makes a cheese similar to ricotta. First, on ricotta, the milk is heated to about 190F and then the vinegar is added. This is for fresh milk, and I don’t see any reason to change it for powdered milk. Second, salt (kosher) is added at 1 tsp per lb of cheese made. Add the salt to the cheese. If you want to add pepper, do so at the same time. 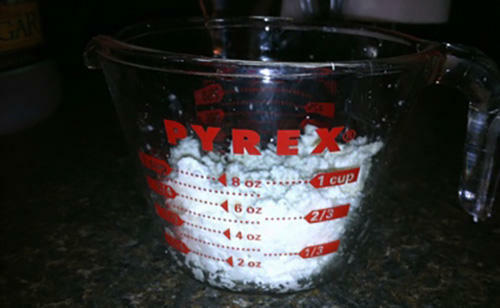 You can make a smoother cheese by adding a bit of baking soda to the formed curds when you add the salt. HTH. OR You can copy and paste the parts you want to Word Pad and the Save or Print. OR you can highlight the areas you want, click print and then SELECTION, then Print and only the highlighted areas will print ! Hope this helps ! Would this a good way to use milk that is going sour? That would depend on what the milk was from. If store bought, pasteurized milk, NO. It is not going sour, it is bad. 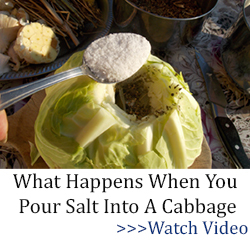 If it is from raw milk, it is clabbering, and you can use it for cornbread, for marinating chicken, or for making cheese. Clabbering is the natural process for the beginning of making cheese. 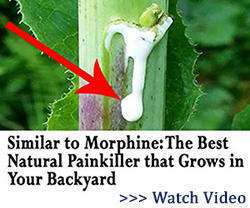 This basically is cottage cheese. I’ve used this recipe/technique before for making fresh cottage cheese. Once the curds are formed and rinsed with water, add plenty of salt. What type of dry milk are you used, Whole Milk or Non fat Milk? I have both, and use both in cooking, I just like the taste of the Whole Milk better. Also the Whey that is left over can be used for many different things, like replacing your milk in a recipe, also to Ferment Veggies to have great fermented veggies like KimChi . I would assume that you would want to use whole milk,Cheese is usually fat and protein. Non fat milk would not work as well? I sent this to myself via Copy and Paste. I clicked on the Print recipe button, after it came up, I put my cursor to the first words I wanted in my email. I held down the left button, until the end, or where I wanted to stop copying. Left clicked on the part I had highlighted and then clicked on the Copy button that pops up. Then I went to my email and set up for a new email, to me, then right clicked my mouse and then hit Paste on that. Then I sent it to myself so I can print it off, without all the added stuff.